Highly customizable vote listener with many features! This plugin is an advanced vote listener. You can see the full feature list below, some with links to a wiki page to explain them further. This plugin has more features than all other votifier listeners out there. 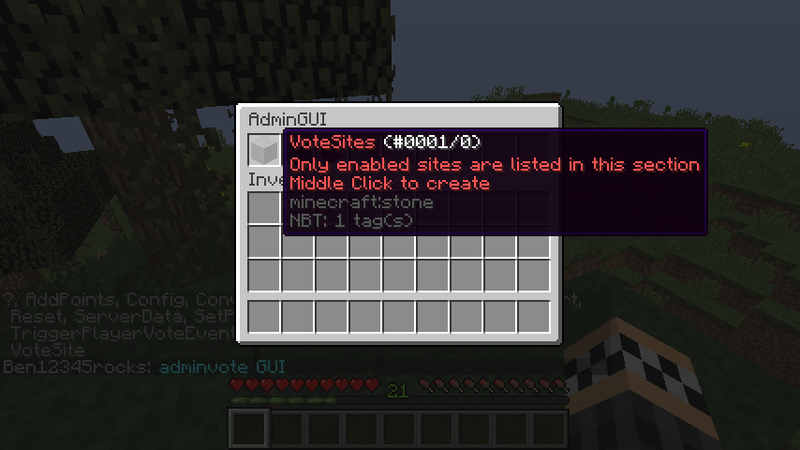 Use v5.13.6 for 1.12 and older versions. If you need help feel free to contact me. If you enjoy it please leave a review and if you want to support me adding more features feel free to donate. Click here for a basic setup guide. Click here for a list of commands and permissions. See the wiki for help! Some Pages Below. Want to make your own changes/improvements? 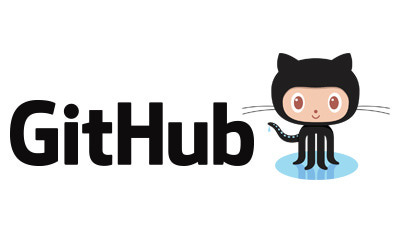 Check out the source on GitHub and feel free to make your own contributions. Want to help support me in adding more features and keeping this plugin free? Feel free to donate. 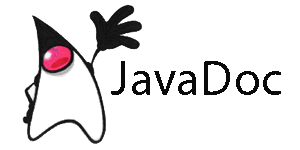 Please leave issues, questions, and requests in the discussion section or on GitHub! Don't leave a negative review without asking for help first! helolego, AykutFX, AccioAce and 17 others like this. 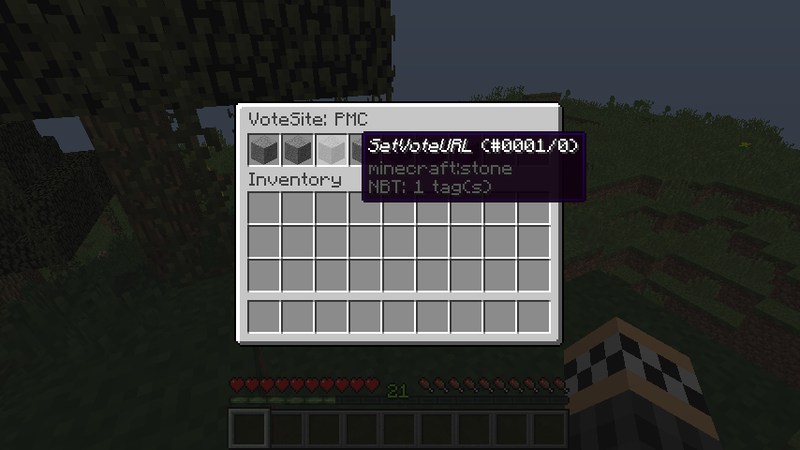 Ok so , my votifier is correctly setup (i have tested it on https://mctools.org/votifier-tester) , i get a reward. 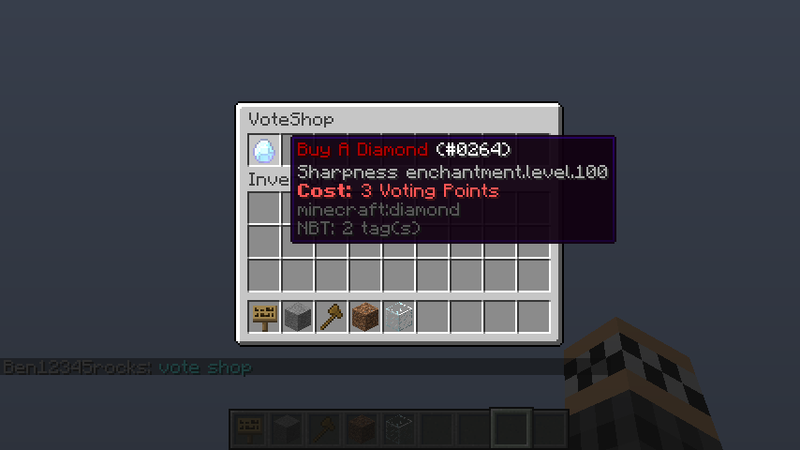 But on others site i don't get a reward when my players vote ..
What does it say in console? Ask in the discussion section next time. Top Plugin with many customizable settings! Top active Developer, where you get very fast help! Excellent plugin. 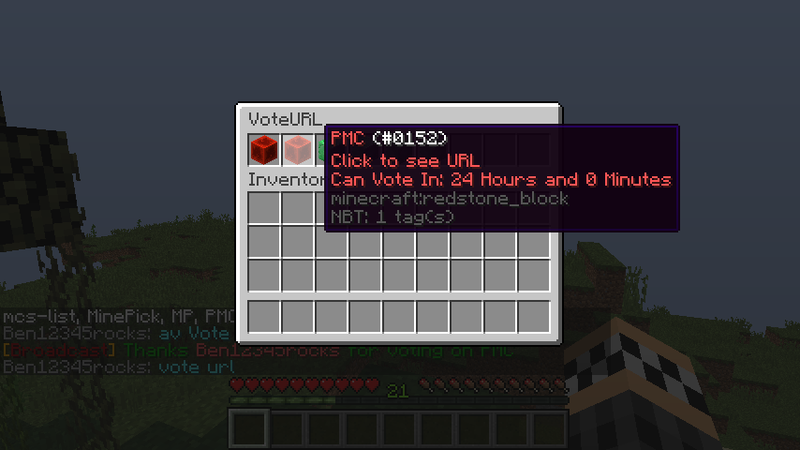 My only question is whether it is possible to broadcast to my server only when a player has voted on all sites, rather than every time. Right now my chat is spammed with these messages and I would love to disable them and add one which broadcasts only when a player has voted on all of the sites. Terrible plugin. Coding and configuring is broken to hell and it doesn't even do what it's designed to do. Considering your attitude in the discussion section, this review doesn't surprise me. Have a good day. So many options! I love it. Works great, and I'm happy to give it 5 stars. The multiple configs and permissions options make this a great way to have tier-ranked voting rewards. 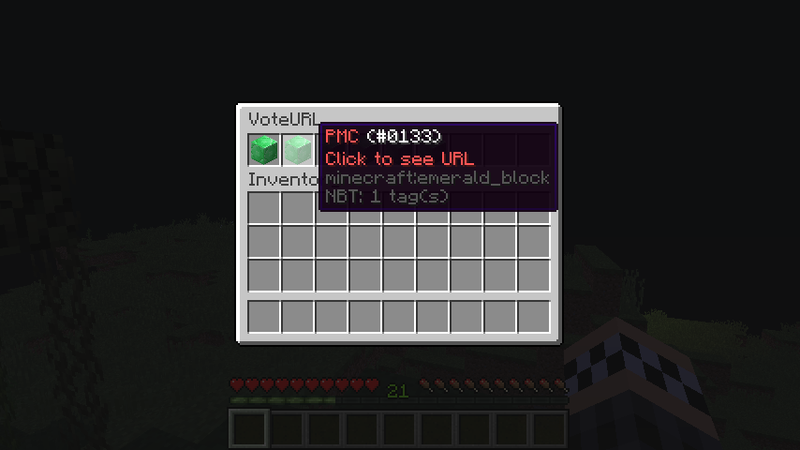 Very good voting plugin! Been looking for one for days. this one is the best one. 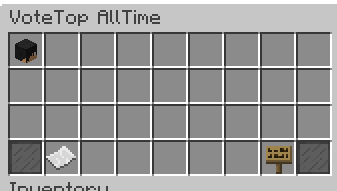 Is there a way to make different rewards for different groups of players? 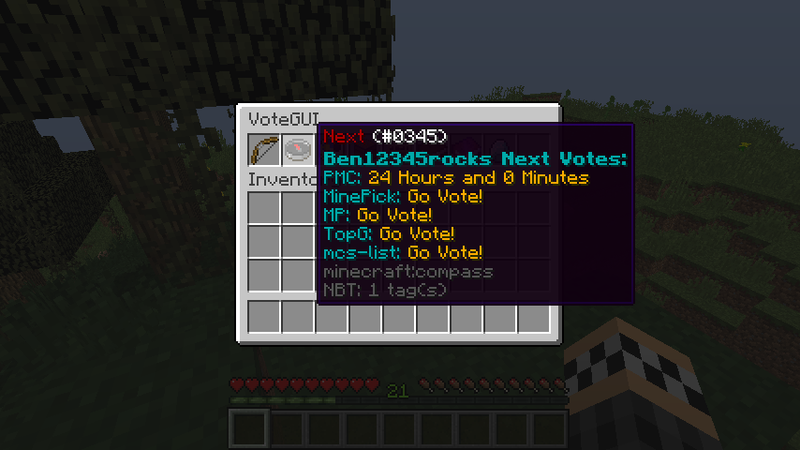 I have been using other voting plugin and I could have 1 VIP rank getting more rewards. Is this possible with this plugin? Good plugin. Although I have set all the voting rewards and such, but when a player votes through the link in /vote, it does not output the reward. Pls help. Ask in the discussion section. An API for plugins to use. Open Source. Advanced Chat Plugin. Bungeecoord support! 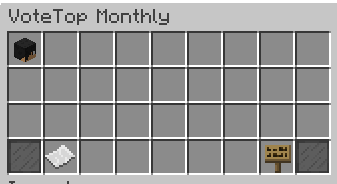 Control mobs health, dropped exp, and give players money when killing mobs. 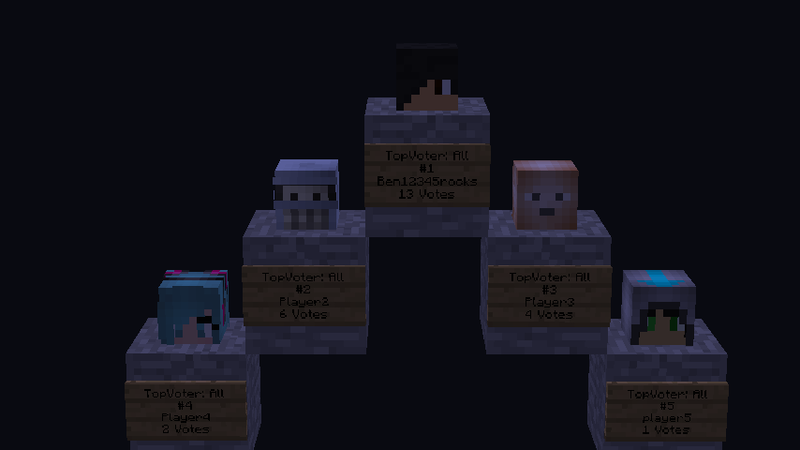 Forward votes to other servers!